Tannehill Branch Creek in Givens Park suffers from erosion that causes water quality problems and threatens large trees, a picnic area, and parkland. 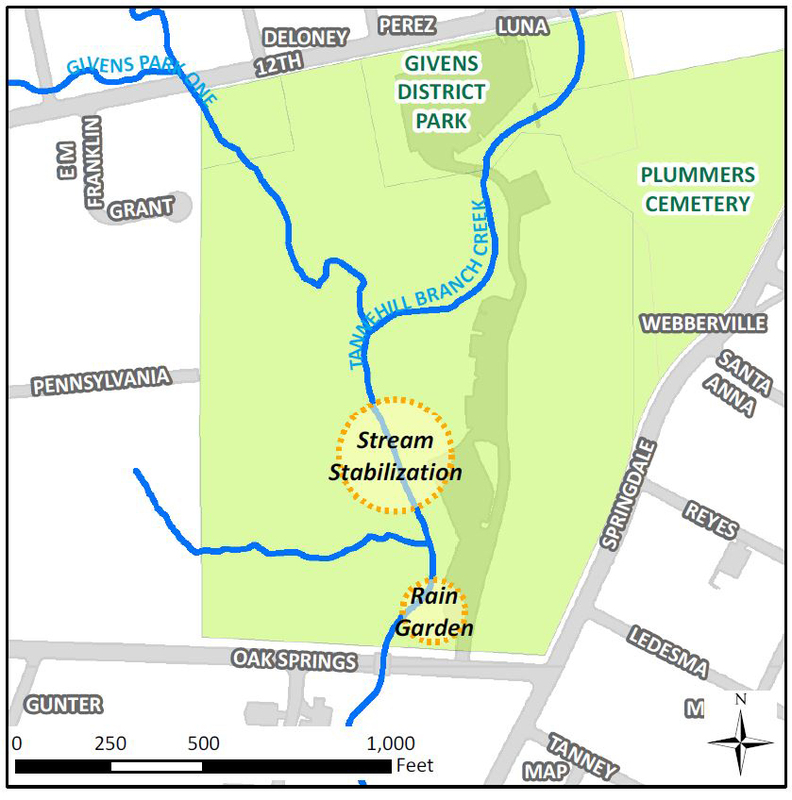 This project will stabilize the bank of Tannehill Branch downstream of the pavilion. 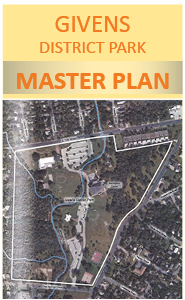 It will also construct a raingarden near Oak Springs Drive to capture and treat parking lot runoff. Tannehill Branch has poor water quality compared to other creeks in the city, scoring only a “fair” rating on the Environmental Integrity Index in Watershed Protection studies. Stabilizing a 300-foot reach of the creek within Givens Park downstream of the pavilion. This will prevent future erosion. Repairs will use limestone boulders and native vegetation. Repairs will occur within the existing Grow Zone. Constructing a shallow raingarden near the southwest corner of the parking lot, close to Oak Springs Drive. The raingarden will capture stormwater from the lot and provide a natural filter to improve water quality. 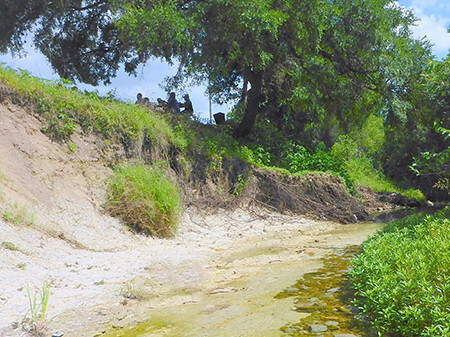 It will also slow down the rate of runoff and ease erosion along the creek. The main contractor completed the bulk of the project in January 2019. Landscaping is in progress, and the area will remain fenced off while the plants get established.